Whether you’re utilizing storage containers for your side hustle or your full-time career, it’s important to make these portable office containers as productive as possible. Wasting time and struggling to focus when it comes to the workplace can result in some major financial and personal repercussions. Prior to arriving at your shipping container office, you should have a great start to your morning. Get out of bed as the sun rises each morning, pour yourself some coffee, eat a healthy breakfast, and then head to work. Once you’re at your office, you need to have productive routines as well. Check your email, write in your journal, then get to work. Finishing your most daunting tasks early can help you feel much more productive throughout the day. You’ll feel ready to easily accomplish all the smaller tasks for the rest of the day. If you put off those larger and important tasks, you’ll struggle to get everything done throughout the day. It is impossible to remain productive throughout the day, or even for an hour or two, if there are distractions nearby. 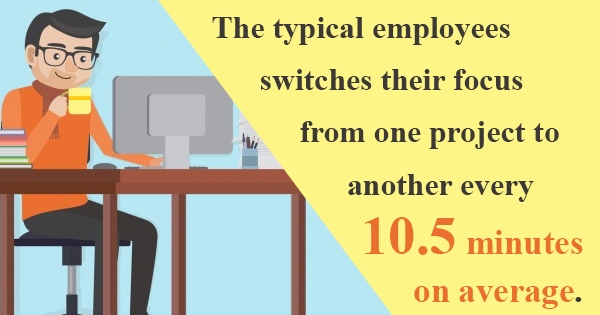 Studies of IT and accounting workers by researchers at the University of California at Irvine found that employees switched their focus from one project to another every 10.5 minutes on average. Additionally, the studies found that the employees were interrupted during more than half of their 10.5-minute project segments. 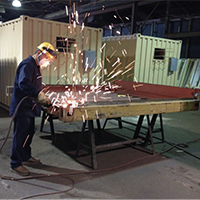 Your desk inside your office container should be free of any and all distractions, and that includes your cell phone! Taking periodic breaks is actually an essential aspect of maintaining productivity. You can’t just work eight-hours straight and not expect to get burnt-out. Take a five or 10-minute break each hour and do something you enjoy to replenish your energy a little bit. 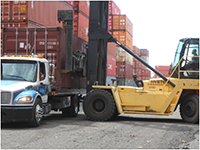 If you want to learn more about better utilizing storage containers throughout the workweek or find high quality shipping containers for sale, give Integrated Equipment Sales a call today.